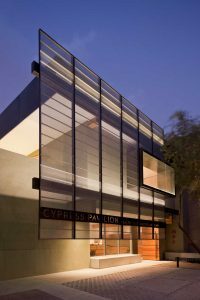 At Cypress Pavilion we work to empower our clients to fine tune their health and experience unfettered physical activity. We also seek to support professionals looking to expand and refine their understanding of the classical Chinese approach towards healthcare. We believe an informed public is better enabled to make correct decisions concerning their healthcare and seek to foster your understanding of Chinese medicine and its associated practices to meet, and exceed, your healthcare and physical goals. Our primary Treatment approach emphasizes prevention and recovery from illness and injury through Acupuncture. When it is beneficial to the client, we combine acupuncture with other treatment methodologies such as Chinese Bodywork, Herbs and Cupping. To facilitate our clients efforts to maintain their own health or to excel in physical activities we offer Developmental Practices. These practices aid in recovery while supporting your ability to adapt to environmental, physical and psychological stresses. We encourage each of you to take an proactive role in your healthcare and physical activities through Education. For those with general interest an overview of Chinese medicine, its diagnostic approach and treatments can be found in our Basic Concepts education area. For those wishing to pursuing a richer understanding of concepts, or to create future opportunities in their lives, instruction through video or in-person seminar training address more Detailed Concepts of Chinese Philosophy and Medicine approaches.